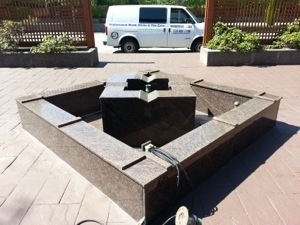 Granite Fountain | Fintastic Services – Friendly and professional carpet cleaning, floor care, leather and upholstery restoration services. Serving Lower Mainland, BC, Canada. 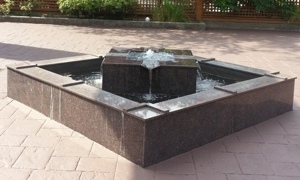 This granite fountain at Ismaili Jamatkhanas, 1150 Gladwin Dr, N Vancouver. 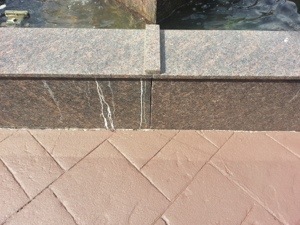 We restored, polished, sealed the granite to maintain it.